Web of Life Field (WOLF) School announced its introduction of the WOLF School Naturalist Academy during their Fall 2016 training session, a week-long event held every September that prepares staff for their roles as outdoor educators for the non-profit’s residential K-12th grade science, history, and teambuilding programs. The new Naturalist Academy aims to quantify the rigorous education and professional experience naturalists gain during their tenure with WOLF School. 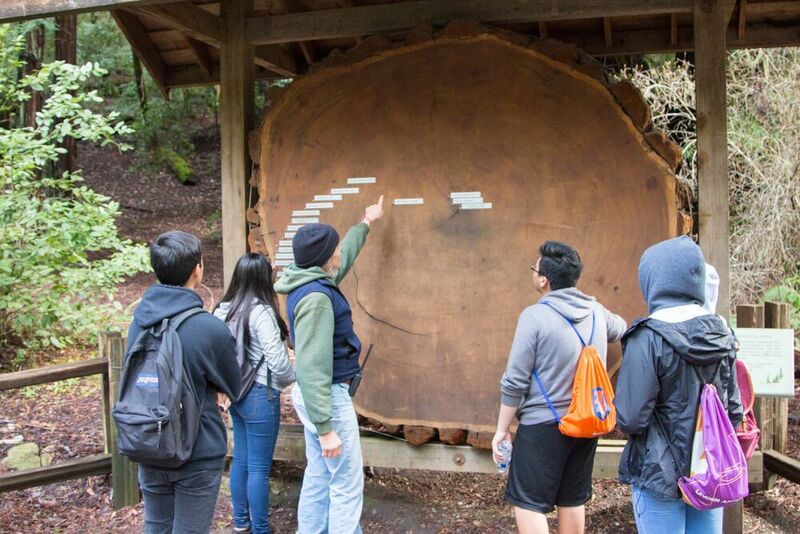 Homebased in the stunning Santa Cruz Mountains at Little Basin, part of Big Basin Redwoods State Park, WOLF School has provided inspiring, educational outdoor experiences for K-12th grade students and teachers since 1989 at campuses throughout California. (Locations include the Sierra foothills, Sonoma, Santa Cruz area, and Southern California.) Ranging from the traditional California science camp, to California living history education, to teambuilding retreats, WOLF School’s programs have consistently maintained the highest educational standards—programs are California State Standards-based, Next Generation Science Standards (NGSS)-aligned, and designed to enhance classroom curriculum through hands-on experiential learning. Behind these successful programs is a team of naturalists dedicated to educating and connecting youth with nature, where they can learn about the environment, their impact on these surroundings, and their own importance to the greater world. Since its founding, WOLF School has understood the importance, and responsibility, in educating and supporting our youth. As such, the same values of education and support are extended to their staff. Naturalists arrive at WOLF School with advanced and diverse educational backgrounds, then continue growing as educators thanks to WOLF School’s learning-centric atmosphere. WOLF School provides staff training weeks throughout the year, community training and staff sharing opportunities, and supports external training at organizations and conferences. Additionally, naturalists gain extensive in-field teaching experience during the 2-5 day residential camp programs, and the multiple campus locations train naturalists to teach about diverse environments in California. This ongoing educational process makes WOLF School’s naturalists unique in their ability to teach any subject to K-12th grade students, from redwood ecology and watersheds, to geology and astronomy, to community living and leadership skills, and more. Recognizing the educational guidance and professional preparedness they offer, they introduced the WOLF School Naturalist Academy. Web of Life Field (WOLF) School programs are held at campuses that are professionally-managed by the non-profit United Camps, Conferences and Retreats (UCCR). For more information, visit WOLFSchool.org.